Spicy curry, dal tadka, rajma rice, rasam – these are some of the aromas that smell good on the dinner table, but when they persist in the kitchen until the next morning, they no longer seem acceptable to our senses. 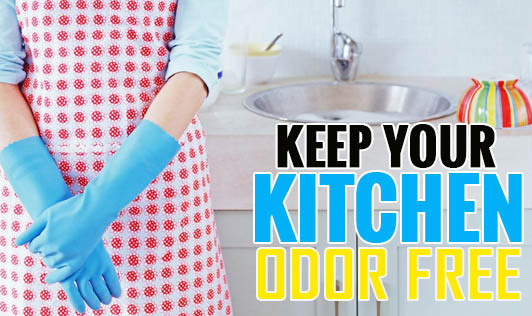 Read on to find out what can be done to remove these pungent cooking odors from your kitchen. Keep the bedroom doors closed so that the smell does not linger on there. Have a good ventilation system in place. If you have an exhaust fan in the kitchen, use it. Keep the windows open while cooking. The best way to remove odor is to direct it outside. Make sure you clean your cook top, stoves, kitchen surface, and all the greasy utensils after you finish cooking. Make a natural air freshener in your kitchen by simmering some spices such as cinnamon stick, cloves, and citrus peels. This will mask any lingering odor in your kitchen. You may keep a small bowl of white vinegar, baking soda, or coffee grounds overnight on the kitchen top to eliminate any stubborn odor.